Party Junk 200 – grain sack projects! Welcome to Party Junk 200 – grain sack projects! Hey! 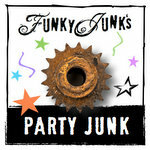 Happy 200th party over on Funky Junk Interiors! 200 parties! Isn’t that amazing?! 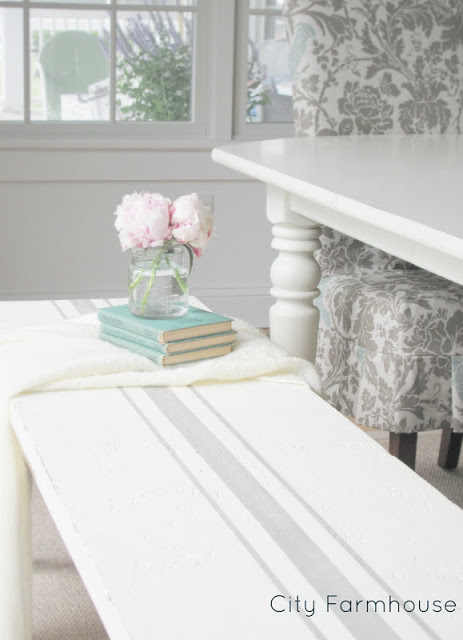 This gorgeous bench got even more gorgeous with a soft, subtle grain sack stripe. Love how the line makes the bench appear even longer! 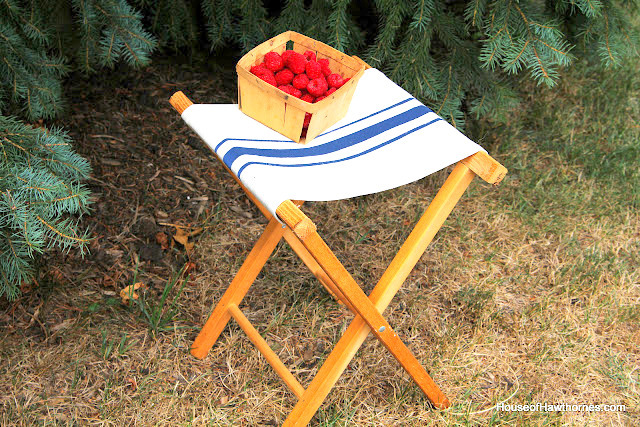 Folding camp stools don’t have to be boring! This sweet grain sack enhancement is perfection! Love the blue with the woodwork! 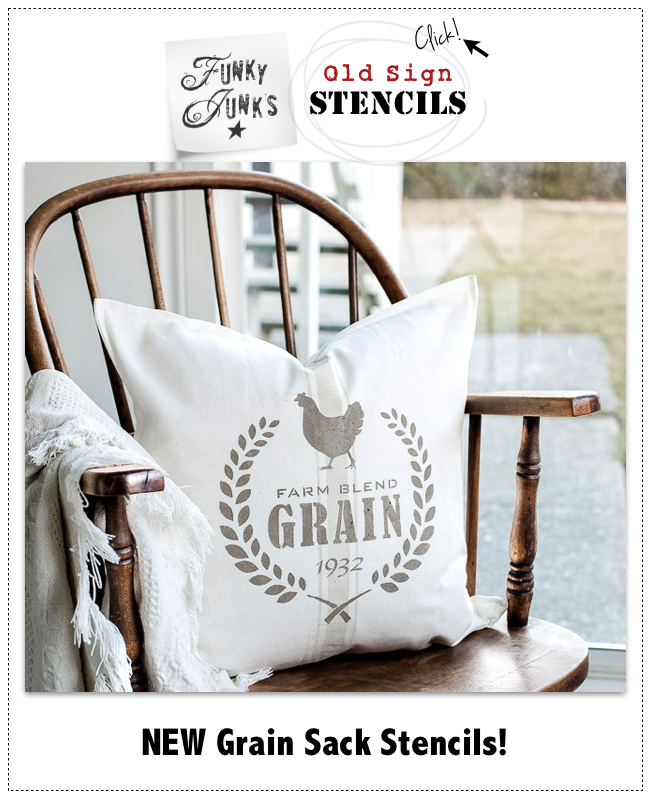 Trendy with a flash of vintage flair, this cool grain sack pillow comes with an amazing tutorial. Want this look? You can do it in minutes! I can think of 101 uses for a grain sack ribbon. Christmas tree trim, lining sewing projects… check out the link to see how this one was used! Who didn’t have a desk like this back in the day? Bet it never looked this cool! Subtle grain sack enhancements in all the right areas… awesome! I’m not really sure if Breida had a grain sack intention in mind with this bench makeover, but I think it chimes in pretty close! Stylish, and lovin’ those colours! 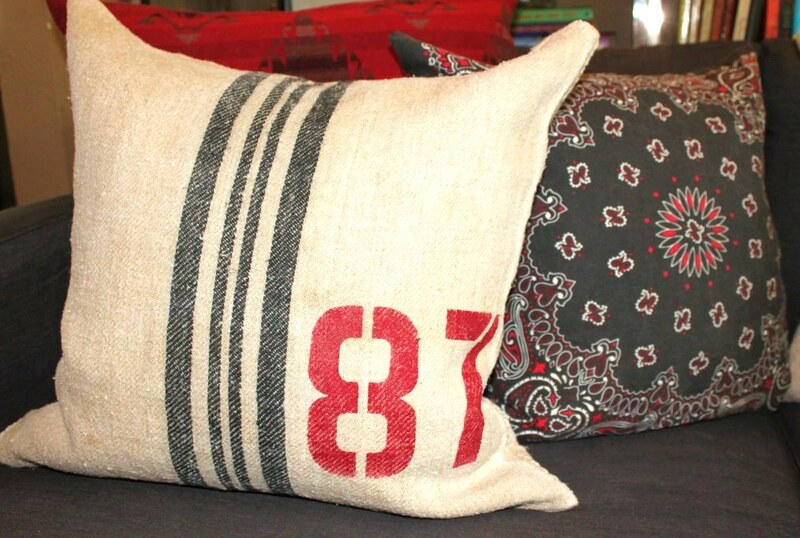 And last but not least, here’s a cheat I did creating this pillow… out of a $1.50 sandbag! 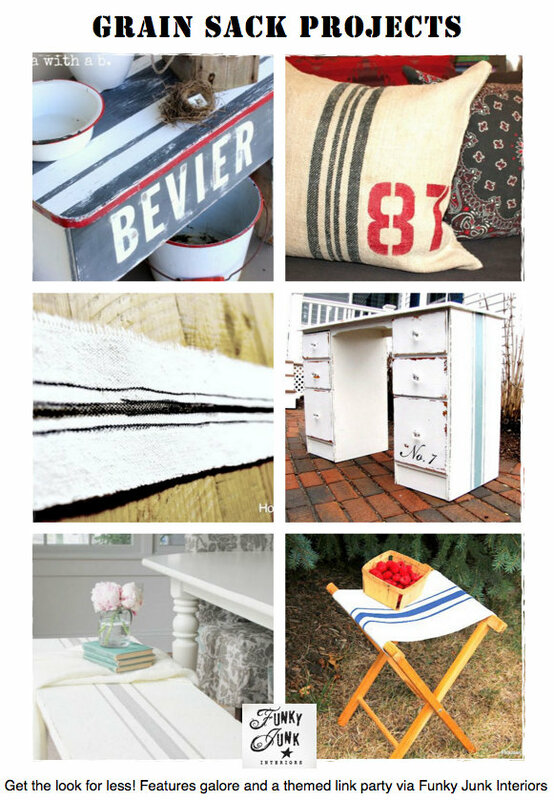 Here’s a fabulous collection of grain sack projects makeovers in a special, easy to view clipboard on Hometalk. 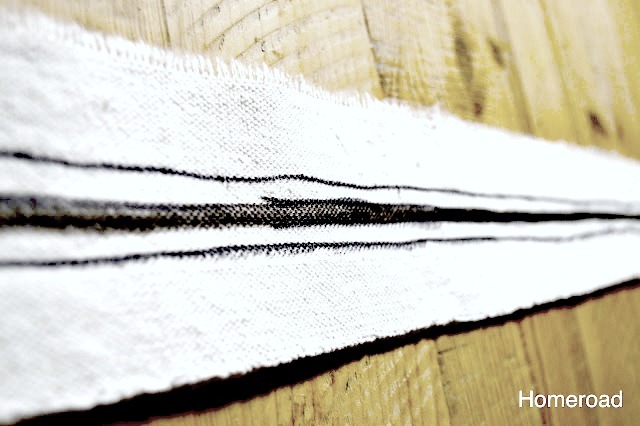 Got a grain sack inspired project? Happy to link to your party! THANKS FOR HOSTING!! Thanks for hosting every one of them! Had to join in the party tonight:) Thanks for hosting. Hi Donna – love Funky Junk on Facebook.Thanks for hosting, a weekly treat to join in. Hi Donna, a great summer for gardening and blueberries and junking. Thanks for hosting. Thanks, as always Donna, for organizing this for all of us! 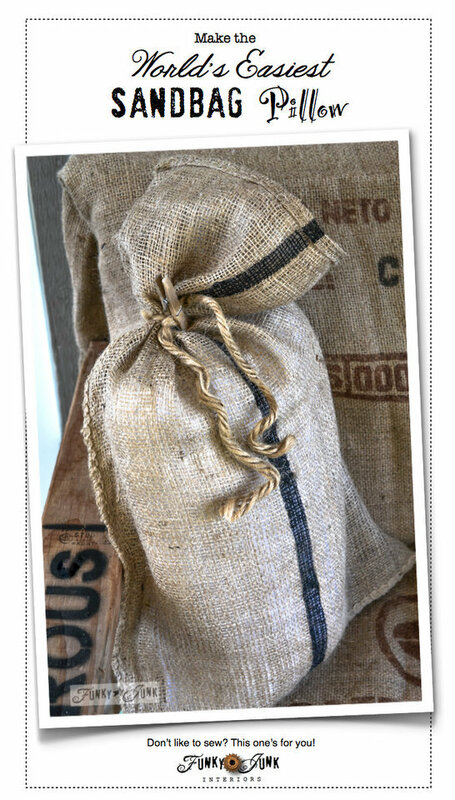 Love the grain sack projects you featured and all of the grain sack DIYs being shared tonight! Great grain sack projects here! Thanks so much for hosting your party. Have a great weekend! Happy Friday Night! I think I want to pin every single grain sack project. I have yet to try my hand at a grain sack anything! Love the theme this week! Donna, Thanks so much for hosting! I love the features, and I really love your no sew sandbag pillow! Great party Donna!Thanks for hosting!! 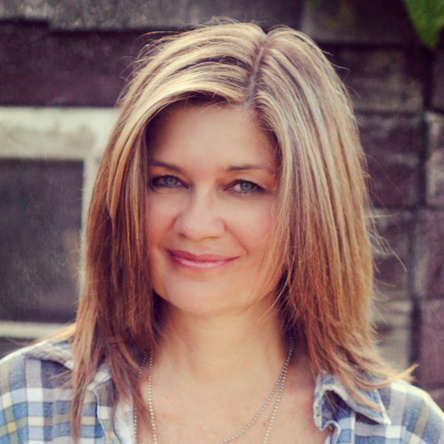 I’m Cindy from GlassSlipperRestorations.com. I LOVE your site! Congratulations on the 200TH, WOW!!! 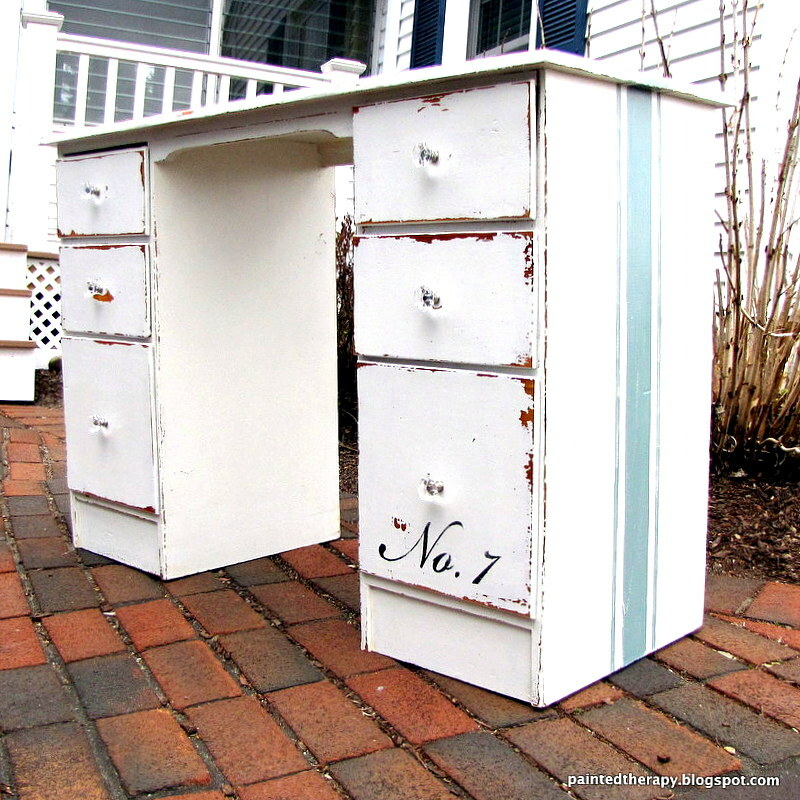 I also have a passion for repurposing junk. I hope you will ckeck out this awesome Potting Table and Tray which my husband created for me, made from pallets (#73 Home Decor) We have an 100 year old Victorian Farmhouse we have been restoring for over 10 years in Texas, when looking at our before photos, you good say we are repurposing our JunkHouse! Transforming it into Beauty, one room at a time. Have been following you, and enjoy everything you do here, thanks for hosting, have a wonderful week! LOVE grain sacks…but I realize now I’ve never made anything that I can share…only bought things others have made. I’d better get on that! Good morning Donna. Happy to be here sharing. Thanks for hosting and have a great weekend. 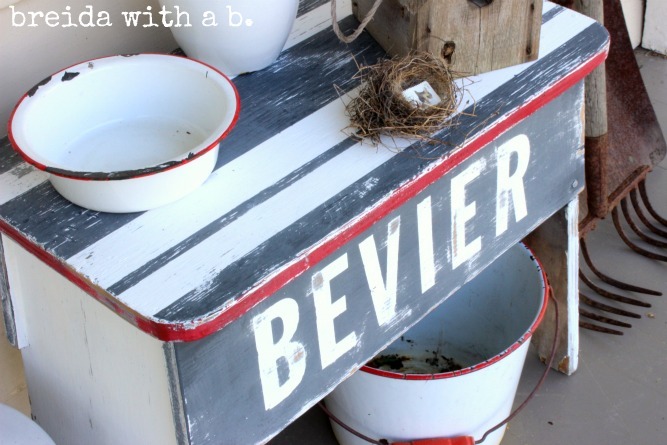 Love these…pinning..thanks for all the great ideas. Wow, great features, specially the grain sack upholstered chairs. Thanks for the cool, great party! Enjoy your last days of Summer fun. Oh so many ideas to last a life time. Thanks for sharing. Thank you for hosting this each week. I love all the ideas and creativity you can find. Wow, congratulations on the 200th party, Donna! I can only guess at the work behind 200 parties and special themes. So happy to see your blog continue to grow and inspire. Thank you so much for featuring my grainsack inspired desk! So thrilling to be on your site Donna! Thanks so much for hosting! Hope your week has been good? Oh, Donna< I love all the grain sack things. I still want one like you make out of sand bags. But if you remember, here a sand bag is a plastic bag with a draw string. Yuck! Not much of a pillow making material. 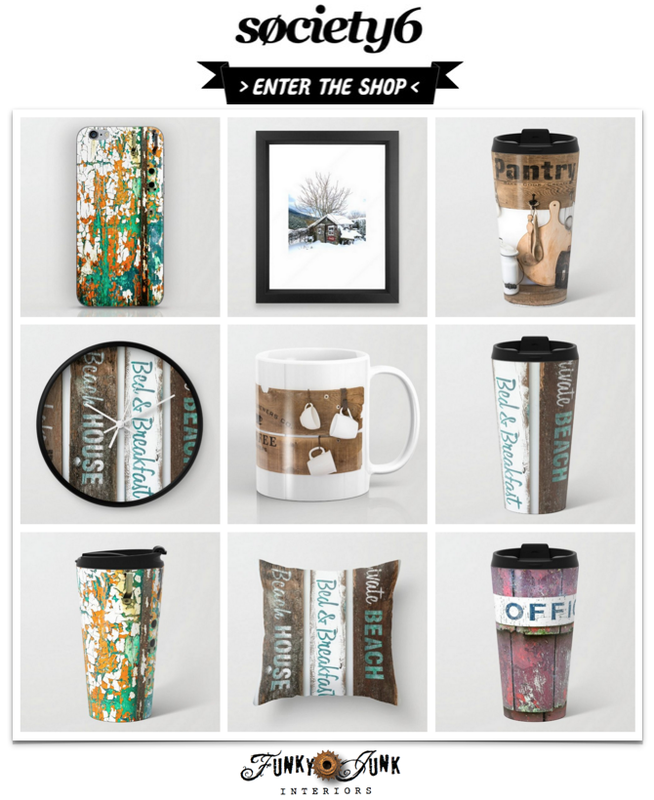 Could you possible send me the name of the store that you get yours from and maybe I could order some from them. Got my fingers crossed. Thanks for the great post as always.